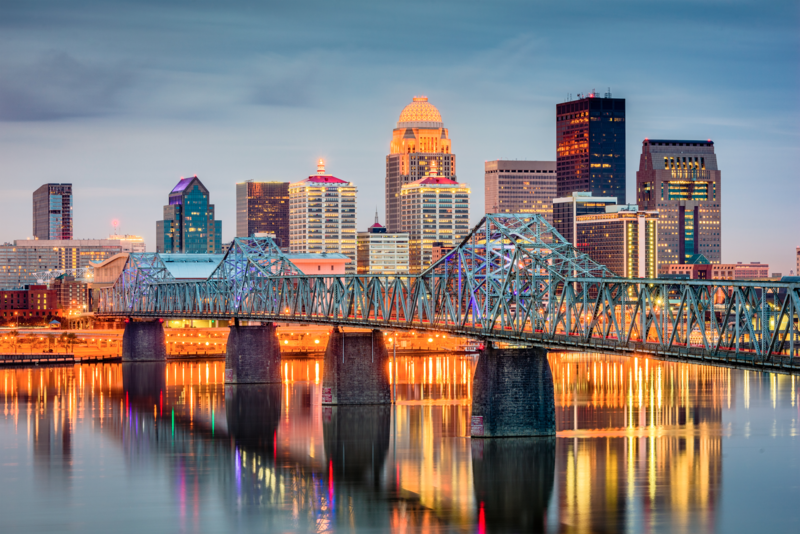 Are you considering moving to Louisville, Kentucky? Or have you already recently made the move to the 502 and want to know all the things that will make this new city feel like home? We are here to share some the most important facts that make up this city. Also many of these details are what make Louisville unique and a great place to live. Not only are we known for some of our famous city landmarks such as Churchill Downs where the Kentucky Derby is held, we are located on the Ohio River which provides opportunity for family fun year-round on the waterfront. P.L. Lyons wants to give all of you who are new a look at the most valuable things to know in Louisville. And if you are needing to buy a home quickly, we have a few beautiful homes for sale plus we know a lot about MANY residential communities and neighborhoods because of our extensive portfolio of building in them. Our community pages inform you about the facts for those specific areas. A driving factor that influences where you call home is your job. Supporting ourselves and our families is a top priority when we make important decisions like that. A plus for a bigger city is the amount of employers located within the city’s limits. Louisville has a plethora of major employers that offer jobs at a larger capacity. PharMerica Corp., a pharmacy services provider for health care facilities. The city is home to 1.28 million residents, within the Louisville, Jefferson County, Kentucky-Indiana Metro Area. In 2016, there were 622,536 Louisvillians within the city’s limits, estimating a population of 626,136 by 2018. The median household income of a family in the Louisville/Jefferson County KY-IN Metro Area is $54,546. Another important factor that families consider when moving to a new city is schools districts. Fear not, there are many options within Louisville to satisfy your family’s educational needs. There is 179 public schools in the Jefferson County Public School District and 101 private schools. Whether you want a trendy, hip area near downtown or a suburban spot, there is an area that suits everyone’s wants and needs in Louisville. St. Matthews is your prime shopping location in the city with two malls in a two-mile radius from one another. Closer to downtown is The Highlands, a local hotspot with all things shopping, dining but with a unique, multicultural flair. Downtown Louisville has a collection of restaurants and nightlife. Near downtown is Nulu East Market District, the trendiest, up and coming spot in the city housed with breweries and unique eateries. Old Louisville has an eclectic city feel that you can’t find anywhere else here while still preservation a lot of history in its architecture. The Clifton/Crescent Hill area is residential with accompanying shopping and dining centered around family fun. Lastly, Louisville has a set of “Towns” that residents categorize by location: Butchertown, Jeffersontown, Hurstbourne, Middletown, and Germantown, to name a few. All of these have unique aspects that set them apart from one another. Along with schools, there are plenty of options for grocery shopping in the city. From big-chain stores to small retailers, there are selections for every dietary need. Kroger and Meijer are popular grocery chains with numerous locations around town. Some other smaller chains are Aldi, Fresh Market, Trader Joes, and Whole Foods. A chain grocer that has a special flare to it is Lucky’s Market, located in Hurstbourne of Shelbyville Rd. Lastly, a bit of information you might be interested in knowing about your new city is the leadership. The mayor of Louisville is Greg Fischer. He is accompanied by a Metro Council make up of 26 districts. What do you need to make your full transition to Louisville? These are the main facts and information we think you should know if you’re considering moving or have recently moved to Louisville, KY. As the largest city in Kentucky, it has loads to offer its community and we want all its residents to take full advantage of it. If you have any questions regarding the Louisville homebuilding industry, contact us–P.L. Lyons Architectural Builders– for more information. We want to remind you again about our community pages that inform you on the most important facts for living in those communities. If you happen to be interested in building something new in one of those communities, you can get a conversation started with from those community pages too!